▪ This static safe Field Service Engineers Kit is a neat and handy portable EPA for use when away from your permanent workstation. The compact yet highly visible red pouch contains a mat, wrist band, coiled earth lead and straight earth lead so you can safely work to EN 61340-5-1 requirements. ▪ Ideal for use when servicing equipment which incorporates static sensitive devices or components. ▪ This static safe Field Service Engineers Kit is a neat and handy portable EPA for use when away from your permanent workstation. 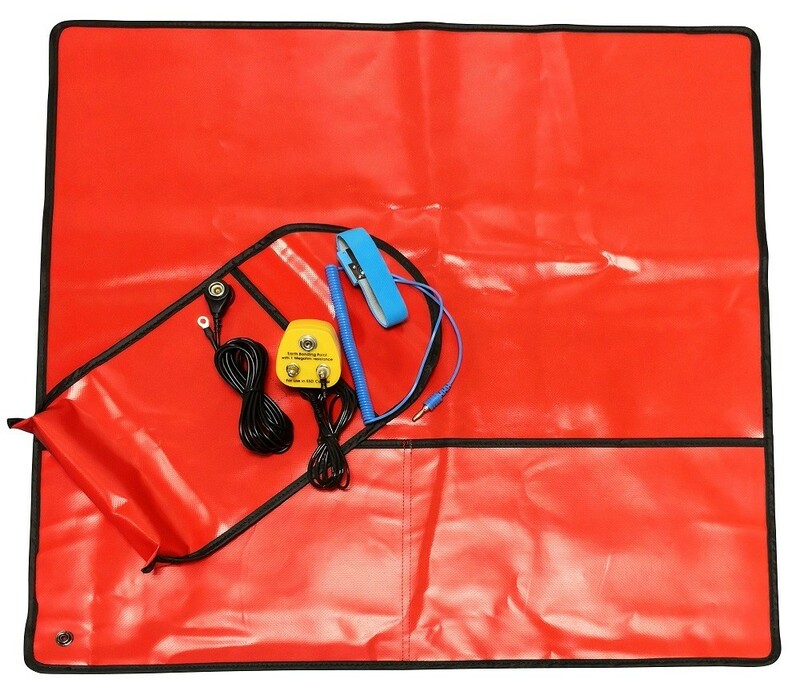 The compact yet highly visible red pouch contains a mat, wrist band, coiled earth lead and straight earth lead so you can safely work to EN 61340-5-1 requirements. ▪ Ideal for use when servicing equipment which incorporates static sensitive devices or components. ▪ 1 x Straight Earth Lead (Banana – Banana with Crocodile Clip). ▪ 1 x Earth Bonding Plug (UK / Euro version) - Optional.